DALLAS, TX – (March 20, 2019) Green Brick Mortgage, LLCSM (NMLS: 1765654), is excited to celebrate another major milestone – the addition of its newest branch in Johns Creek, GA, which will be managed by Production Manager, Teresa Mitchell (NMLS: 415550). With the addition of its Atlanta branch, Green Brick Mortgage has expanded its footprint into a cosmopolitan area with a surging home buying market. “There’s so much culture and charm in Atlanta, so it’s easy to see why it’s such a popular destination for aspiring homeowners. We’re proud that we have an opportunity to show our dedication and home loan expertise to the residents of this beautiful city, and we’re committed to helping them build toward their future through homeownership,” said Teresa Mitchell. Green Brick Mortgage is a Dallas-based residential mortgage originator offering fixed-rate, adjustable-rate, conventional, and jumbo, refinancing, home-purchase, and home-improvement loans. At Green Brick Mortgage, we help our clients land their ideal home by providing the knowledge, support, and hassle-free mortgage process they deserve. For more information on Green Brick Mortgage, please visit www.greenbrickmortgage.com. 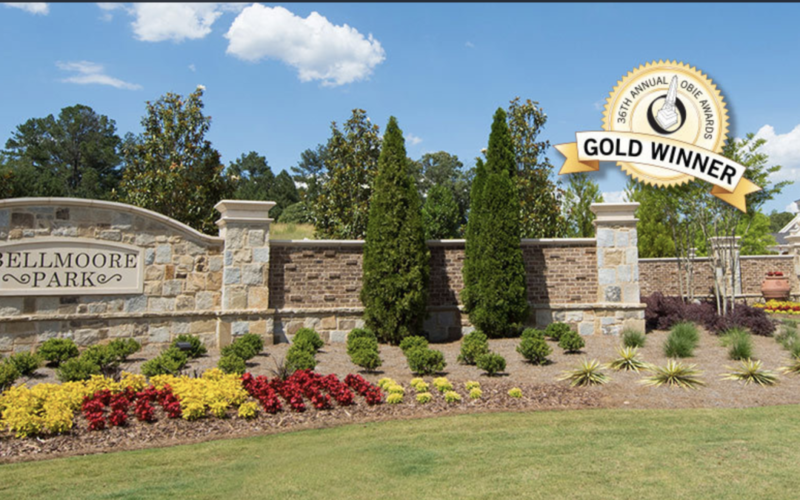 The Providence Group is an Atlanta-based home building company known for their desirable locations innovative home designs, upscale interiors, and amenity-rich communities. It is one of seven controlled Team Builder brands of Texas-based Green Brick Partners. For more information on Green Brick Partners and its subsidiary Team Builders, please visit www.greenbrickpartners.com/team-builders. Green Brick Mortgage offers a comprehensive range of home loan solutions in the Dallas-Fort Worth metroplex. PrimeLending Ventures Management, LLC, owns a 51% interest in Green Brick Mortgage, LLC, and a 49% minority interest is owned by GRBKMP, LLC, an affiliate of Green Brick Partners, Inc. (Nasdaq: GRBK). PrimeLending Ventures Management, LLC is a wholly owned subsidiary of PrimeLending, a PlainsCapital Company (NMLS: 13649). Green Brick Mortgage is a member of the Hilltop Holdings Inc. (NYSE:HTH) family of companies. © 2019 Green Brick Mortgage, LLCSM (NMLS: 1765654). Equal Housing Lender. This is not a commitment to lend. All loans subject to credit approval. Restrictions apply. Green Brick Mortgage, LLC, is a subsidiary of PlainsCapital Bank and is exempt from mortgage banker licensing/registration in Colorado, Florida, Oklahoma and Texas. Mortgage Banker Licensing: Georgia Lic. No. 64292.